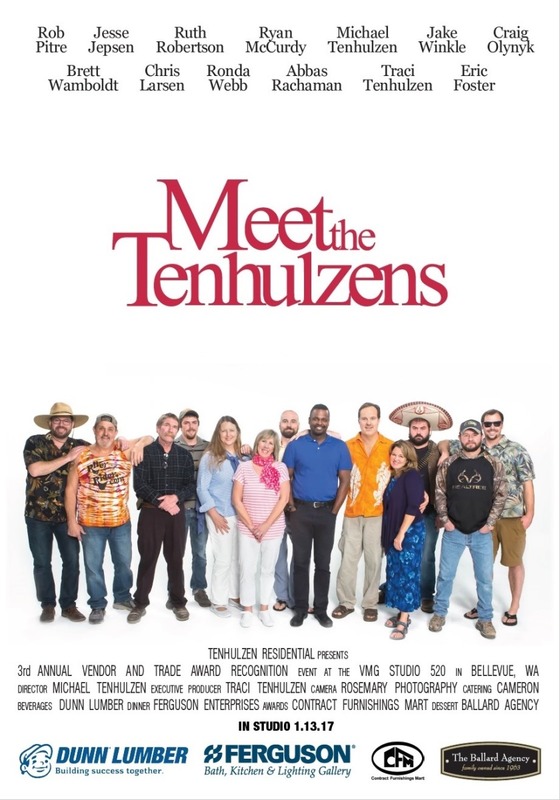 The MBA’s longest-standing community event and Tenhulzen Remodeling has been a ramp captain virtually every year since the program began. Rampathon has grown from 5 ramps in 1992 to 42 ramps in 2017. Each May, TR staff volunteer a Saturday and part of Sunday, depending on the complexity of the ramp to give residents in our community who are confined to a wheelchair, uninhibited access to the outside world. It is a most satisfying feeling to know you have provided access for someone who has had to rely on others to lift them up and down stairs. Thsink will take you to the photo galleries of the past few years. 2017 marks the 22nd ramp TR has provided the community. Woodmoor Elementary received some love at the school’s entrance by dozens of volunteers and donations from Boeing and Tenhulzen Residential. The Cub Scouts helped move stones and plant flowers along side their parents earning them recognition at the school assembly. In 2016, we sent 4 carpenters and a dump truck loaded with materials to create new rooms in the YWCA in the Lynnwood area. After a day of framing new walls and setting new doors, our volunteer crew hung and taped drywall before turning it over to a volunteer painting company. Picking up garbage from current and recent customers during the Waste Management strike, August 4, 2012. Because we don’t like garbage pilling up on our job sites. 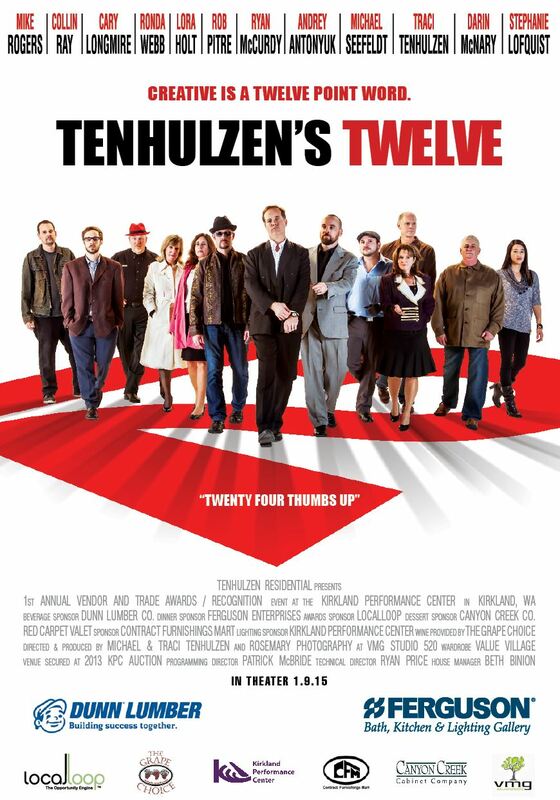 In 2012, Tenhulzen Residential donated a feature of comfort for a boy with Mitochondrial Disease. Make-A-Wish Foundation provided a hot tub to fit the back patio, but needed a contractor to provide the electrical service. After meeting this family, Michael Tenhulzen decided the hot tub would not be complete without a roof to protect Cody from the elements. Special thanks to Mitchell Engineering, Dunn Lumber, Redmond Roofing, Sterling Electric, Tenhulzen Painting and the Redmond City Council for helping to make this possible. In 2005, Tenhulzen Remodeling built the Boathouse for Redmond’s Idylwood Park. TR approached the City of Redmond with interest in a community event surrounding Derby Days. Following some discussion, it was decided to dedicate a covered picnic area for a budget-strapped parks department improvement at Idylwood. The design was loosely based on a pre-fab design to mimic the resort boathouse on the property in the 1950′s. Materials donated by TR vendors were assembled and erected at the 2005 Redmond Derby Days. The structure was disassembled and re-built permanently in the center of the children’s play area at Idylwood Park. Homes for Little Hands was a success for participating builders, the Master Builders Care Foundation, King County Boys & Girls Clubs and individual families. 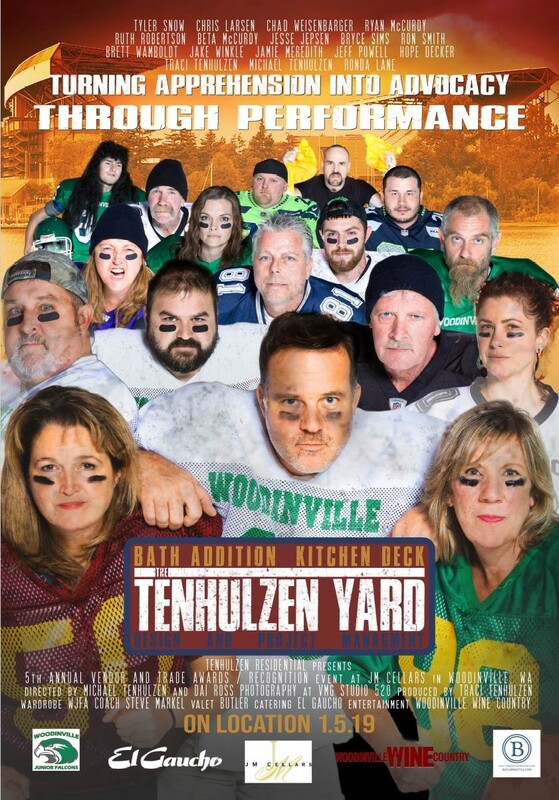 Tenhulzen Remodeling constructed the Tug Boat Playhouse for this event in 2000, using plans drafted by one of our designer interns. The entire build took 2 months and involved volunteer labor from nearly everyone on staff. When complete, the Tugboat Playhouse was trucked to a site where it was displayed along with 8 other designs built by MBA builder members. On the last day of the display, a large media event and auction drew hundreds of Puget Sound residents. The winning bidder for the Tugboat Playhouse was also a Tenhulzen client. The mission of the RCCC is “To harness the power of every individual through education, training and volunteer service to make communities safer, stronger and better prepared to respond to the threats of terrorism, crime, public health issues and disasters of all kinds”. Traci Tenhulzen represents TR on the Council. There are currently 2,441 city Councils which serve 228,212,493 people or 80% of the total U.S. population. We are proud to be a member on the Redmond Council. For more information on this volunteer organization please visit http://www.citizencorps.gov/for the national web site. As an integral part of Redmond, we recognize the importance of being involved in Community Organizations Active in Disasters (C.O.A.D.). This group of local faith organizations, businesses, government officials and schools has formulated a disaster plan to respond to disasters on a local basis, engaging on day 2 until formal disaster relief arrives on or about 7. This is traditionally a time when it is nearly impossible for State and National agencies to activate their organizations rapidly enough to be useful. A painful reminder of this critical response time was emphasized with Hurricane Katrina’s devastation to Louisiana, Mississippi, and Alabama in 2005. 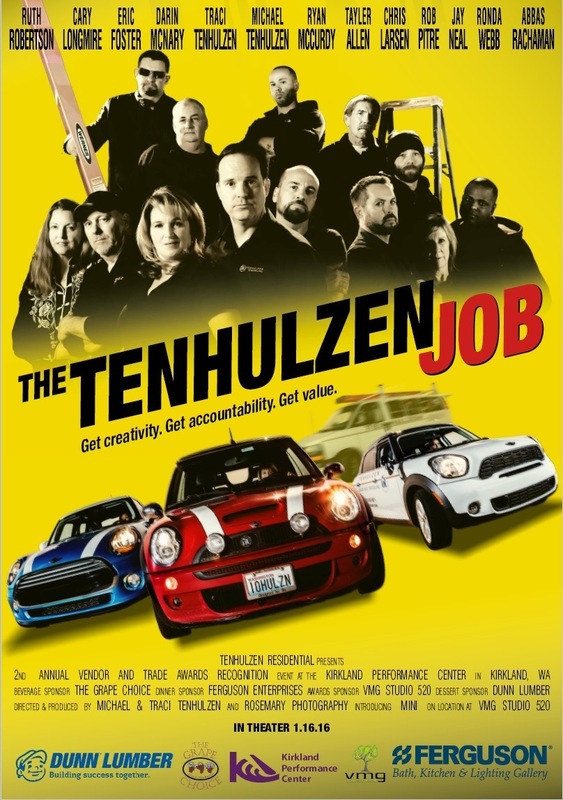 In 2008, Tenhulzen Remodeling donated labor to renovate the lobby of the Redmond Towne Center location. In 2006, Tenhulzen Remodeling hosted an outdoor art sculpture. #16 from the link. A project initiated by the Master Builders Care Foundation was to transform a dilapidated fourplex owned by Kirkland Interfaith Transitions in Housing (K.I.T.H.). This charitable organization committed to providing a comfortable environment for Eastside homeless families to get back on their feet. The structure was in dire need of substantial upgrades to make it livable. Michael Tenhulzen co-captained the project, coordinating construction budgeting, material allocation and a small army of volunteer labor. The benefits of the upgrade improves an average of 25 lives per year.